If you’ve ever traveled by air, you know that catching a flight on time is already a huge nightmare but waiting for a delayed flight can get even frustrating. Google, as expected, now plans to curb this problem by trying to predict flight delays. 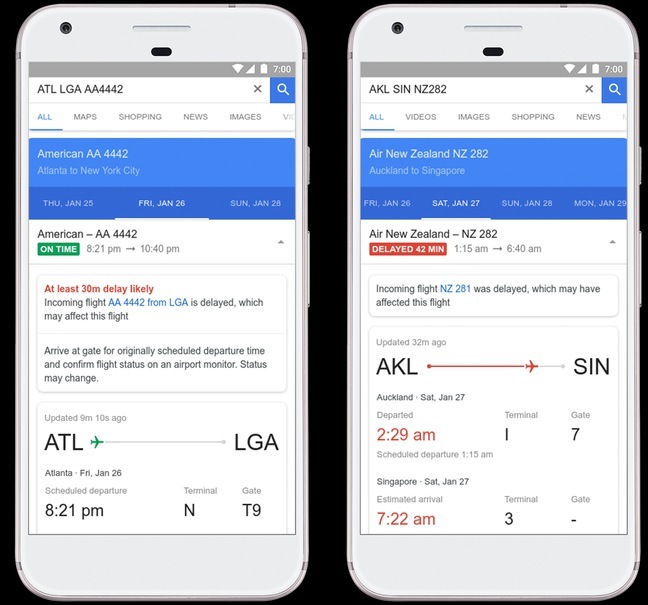 The search giant has today announced that it’s updating the Google Flights platform to not only show confirmed delays with an explanation, but also predict flights that might be delayed. It has decided to put machine learning algorithms into place to use all the historical info about a particular flight to predict if it is likely to be delayed. Google doesn’t plan to go on a tagging rampage for random flights that might be delayed. It has decided to only flag potential delays in flight times when the probability of the same is around 80 percent. This will give you a rough idea of how the situation is looking in the real-world, especially during sudden climatic changes. 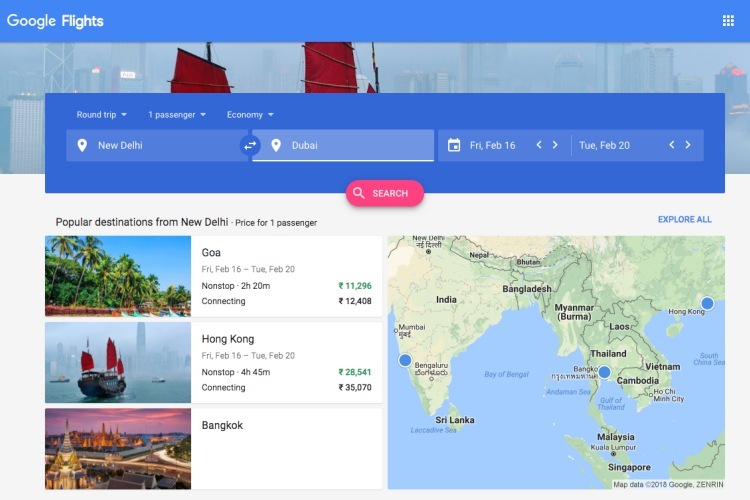 Now, if you want to check if your flight’s been delayed or not, just navigate to Google Flights to search for your airline and flight number or flight route, and you’ll be provided with all necessary details for your flight. All this jibber-jabber helps us reach the conclusion that you cannot fully trust the instincts of a machine to catch your flights on time. It is only a neural network, which learns as the task progresses, so Google has advised users to reach the airport on time to avoid missing their flight. In addition, Google is now trying to provide you more information on what amenities would be made available to you in cheaper flights. This is a common issue, where you jump in head first to book dirt cheap flights and then regret your decision when you get surprised on the journey. You either don’t have the choice of seats or overhead luggage space in your ultra-basic flight. Thus, Google will now also show what amenities you’d be loosing on to saving a few bucks.